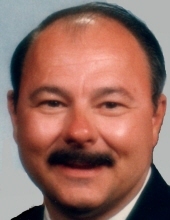 Michael Jay Tschida, passed away on March 15, 2019. He was born on June 28, 1948 in South Bend, Indiana to parents, Georgette and Robert Tschida. Michael was preceded in death by his parents, Georgette J. Ruggles and Robert Tschida; brother, Robert C. Tschida. He is survived by his loving wife, Cynthia Tschida of 48 years; daughter, Amy Tschida; son, Michael A. Tschida; two grandchildren, Ariel Britany Ward, Tristian Smith; two sisters, Barbara Wright, Helen Meyer; two brother, George Tschida, John Tschida; as well as numerous friends and other family members. The family will receive friends for a memorial service on Friday, March 22, 2019 at 2:00 PM in the chapel at McNutt Funeral Home, 1703 Porter Rd., Conroe, Texas 77301. To send flowers or a remembrance gift to the family of Michael Jay Tschida, please visit our Tribute Store. "Email Address" would like to share the life celebration of Michael Jay Tschida. Click on the "link" to go to share a favorite memory or leave a condolence message for the family.